Now it might seem that this is a tenuous link to Tracey’s post on blog planning but bear with me. 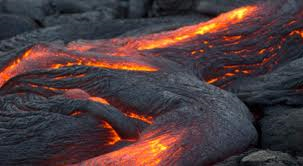 Our ideas for stories and blog subjects are igneous. In that, a spark of an idea spurts forth and becomes its own entity, growing in width and breadth. To engage our readers we need to ignite their curiosity and interest in our words. My current blog mission, utilizing a desk diary word of the day for the duration of 2013, requires a great deal of thinking and commitment. However, having made such a obligation I have found it has certainly caught my imagination and stretched my writing muscles. Not a bad thing for a writer – wouldn’t you say? Although I try hard to write a couple of posts ahead of time, sometimes the idea does not fire up immediately and then I have to dig deep. Tracey’s post on her planning strategy gave me some ideas even though I do not use Scrivener. While I was researching I also found this post, which also aids the process. How do you plan your blog posts? Any tips you would care to share?